MAD PHILOMENA EXCELS THROUGH COLLABORATION WITH OTHER CREATIVE INSPIRATIONAL BUSINESSES. WE ARE VERY PROUD WHEN OUR COLLECTIVE WORK GETS FEATURED IN BOTH LOCAL AND NATIONAL PUBLICATIONS. HERE'S A FEW GLOSSIES THAT HAVE SHARED MAD PHILOMENA WORK TO DATE. 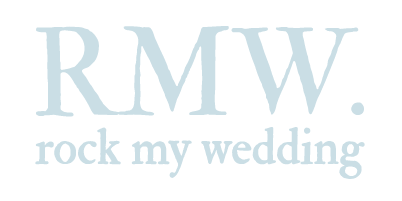 MUCH OF THIS WORK IS CREATED IN ASSOCIATION WITH GREAT WEDDING INDUSTRY FRIENDS. WE WORK WITH THE MOST TALENTED AND INSPIRATIONAL WEDDING GURU'S. HERES SOME OF OUR FAVOURITES. NATALIE - WHO IS BASED IN THE COOLEST CAKE STUDIO IN NOTTINGHAM IS THE POWERHOUSE BEHING THE SENSATIONAL BUSINESS - YUMMY LITTLE CAKES. TWICE WINNER OF THE TWIA BEST WEDDING CAKES AWARD YOU WILL ALWAYS FIND HER CREATIONS ARE CREATIVE, TREND LED AND DOWN RIGHT SCRUMMY. SINCE MEETING NAT WHEN SHE MADE MY OWN WEDDING CAKE WE HAVE COLLABORATED ON NUMEROUS WEDDINGS AND EVENTS TO BRING DESIGN SYNERGY ACROSS BOTH STYLING AND CAKE TABLES. DON'T JUST STOP AT CAKES, SHE MAKES OODLES OF DELICIOUS CAKE TABLE TREATS AND FAVOURS TOO! CLICK ON IMAGE TO ENTER WEBSITE. REBECCA WHO OWNS FLORALDECO HAS IMMENSE STYLE WHICH TRANSLATES THROUGH TO HER EVERY CREATION. HER SWOON WORTHY BOUQUETS AND TABLE ARRANGEMENTS ARE SO ARTFULLY CONCEIVED THEY BECOME A TALKING POINT FOR YEARS TO COME. HER WORK IS SENSITIVE, ORGANIC AND NATURAL. WE LOVE WORKING WITH HER TO CREATE THE ULTIMATE RECEPTION SPACE AND SUGGEST YOU HAVE A LOOK AT HER WORK BEFORE YOU BOOK ANYONE ELSE. 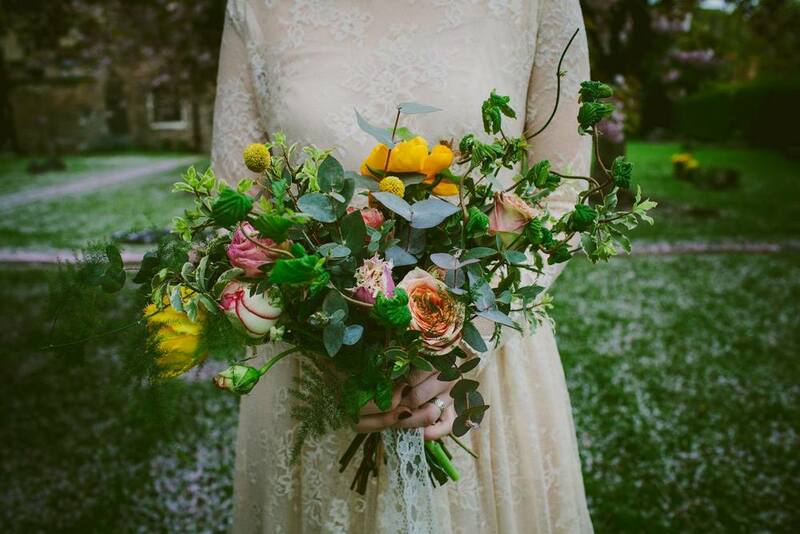 FROM HER WORKSHOP IN ASHBOURNE DERBYSHIRE, NADIA CREATES EXPRESSIVE AND INTERESTING WEDDING FLOWERS WITH GREAT ORIGINALITY AND FLAIR. WE HAVE HAD GREAT FUN WORKING WITH NADIA AT SEVERAL TIPI EVENTS. SHE ALSO HAS A SISTER COMPANY - FLORRIE & EVE - SO IF YOURE LOOKING FOR FLORAL CROWNS AND HEADPIECES SHES THE LADY YOU NEED TO BE TALKING TO. JENNI IS A SKILLED MAKE UP PROFESSIONAL USING THE BEST PRODUCTS FOR MAXIMUM EFFECT. HER WORK IS VERSATILE AND THE END RESULT - ALWAYS BEAUTIFUL. SHE'S ALSO REALLY LOVELY TO HAVE AROUND WHICH IS SO IMPORTANT WHEN THAT PERSON IS SPENDING THE MORNING OF YOUR WEDDING WITH YOU. LIKE MANY MAD P FRIENDS SHE HAS SEVERAL AWARDS UNDER HER MAKEUP BELT - TESTAMENT TO HER NATURAL TALENT AND PROFESSIONAL APPROACH. BOOK HER EARLY AS HER DIARY GETS FULL UP QUICK - WITH CELEBRITIES AS WELL AS US MERE MORTALS. JAN & NICKY CAN MORE OFTEN THAN NOT BE FOUND AT THE TOP OF A HUGE SCAFFOLD TOWER. IT IS FROM THIS VANTAGE POINT THAT THEY CONSTRUCT THE MOST BREATHTAKING OF OVERHEAD CANOPIES. 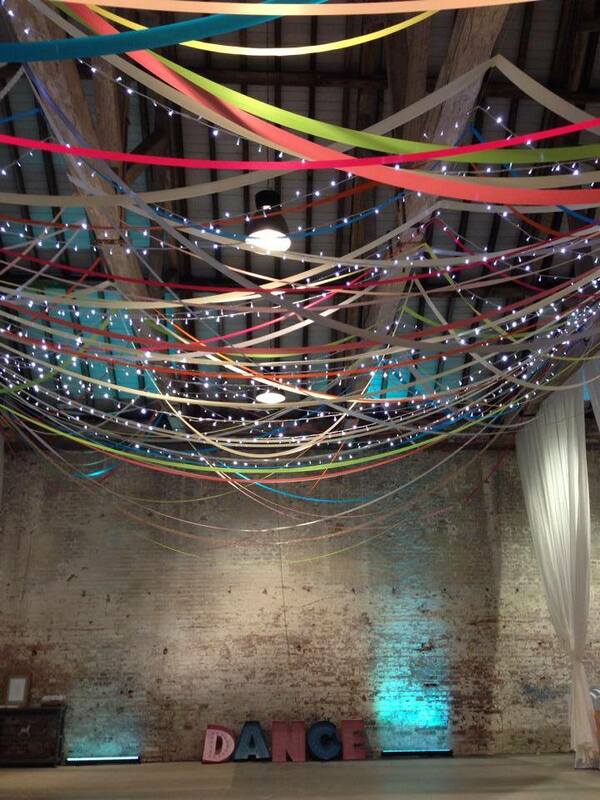 USING RIBBONS, LIGHTS, LACE, FLOWERS - AND MORE - THEY CAN TRANSFORM AN EXPANSE OF SPACE INTO A MAGICAL SKY ABOVE. THEIR WORK IS PRECISE AND TIME CONSUMING WITH AN END RESULT THAT WILL LEAVE YOUR GUESTS WOWED! THE IMAGE HERE SHOWS ONE OF THEIR MANY REGULAR VENUES - CALKE ABBEY. BASED IN DERBYSHIRE BUT SPREADING THEIR WINGS ACROSS THE COUNTRY THIS AWARD WINNING BUSINESS GOES FROM STRENGTH TO STRENGTH EACH YEAR. THEIR EXPERTLY ASSEMBLED TIPIS OFFER A UNIQUE AND ENCHANTING SPACE - PERFECT FOR STYLING WITH YOUR OWN UNIQUE STYLE. ABSOLUTE EXPERTS IN THEIR FIELD THEY WILL ADVISE YOU ON ALL ELEMENTS OF A TIPI WEDDING AND SUPPORT YOU TO CREATE YOUR PERFECT DAY. GIVE THEM A CALL - OR BETTER STILL - DROP INTO ONE OF THEIR OPEN WEEKENDS WHICH ARE ALWAYS A JOY TO BEHOLD. HELEN AT PUDDING BRIDGE HAS THE MOST DAZZLING ARRAY OF BEAUTIFUL SEQUIN LINEN CLOTHS TO MAKE YOUR DAY SPARKLE! MAD P OFTEN WORKS WTH PUDDING BRIDGE TO HELP BRING A LITTLE GLAMOUR TO THE SCENE. HELEN IS FRIENDLY, PROFESSIONAL, ALWAYS WILL TO HELP AND IN POSSESSION OF A VERY ON-TREND PRODUCT FOR YOUR DAY. YOU CAN CONTACT HELEN DIRECT OR WE CAN LIAISE AND ARRANGE ON YOUR BEHALF. VAL WHO OWNS BENESSAMY IS THE ULTIMATE WEDDING PLANNER. IF YOU'RE SHORT ON TIME, PLANNING A WEDDING FROM AFAR OR SIMPLY IN NEED OF A SEASONED PROFESSIONAL TO HELP TAKE CONTROL OF YOUR DAY THEN GIVE VAL A CALL. TWICE WINNER OF THE WEDDING INDUSTRY AWARDS BEST WEDDING PLANNER - VAL'S CUSTOMER TESTIMONIALS SPEAK FOR THEMSELVES. YOU'LL FIND SHE IS FRIENDLY, KNOWLEDGABLE AND HAS GREAT RELATIONSHIPS WITH MANY MIDLANDS VENUES AND SUPPLIERS TOO. SINCE THE AGE OF 7 THOMAS HAS KNOWN HE HAD TO BE PRODUCING EPIC FOOD. 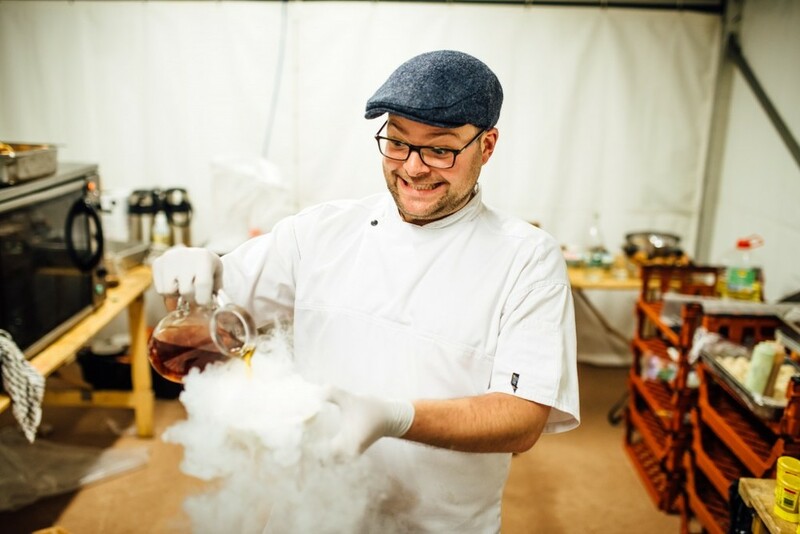 NOW LUCKILY FOR YOU - YOU CAN HAVE HIM WHIP UP A STORM FOR YOUR WEDDING DAY. DELICIOUS FLAVOURS EXPERTLY PRESENTED. HE & HIS TEAM ARE BAGS OF FUN, FULL OF ENERGY AND ITCHING TO HELP YOU CREATE UNIQUE WEDDING FOOD THAT YOU AND YOUR GUESTS WILL LOVE. DID I MENTION HE'S ALSO SCOOPED THE MIDLANDS BEST WEDDING CATERER AWARD. MAD P KEEPS GOOD COMPANY! HAVING CATERED FOR HUNDREDS OF UK WEDDINGS ADAM AND HIS TEAM ARE EXPERTS WHEN IT COMES TO CREATING WEDDING FOOD THAT YOUR GUESTS WILL LOVE. HEAD HONCHO ADAM HAS WORKED TO A MICHELIN STANDARD SO YOU CAN BE SURE OF TOP NOTCH RESULTS. THEY ARE ALSO DAB HANDS AT PROVIDING A BAR FOR YOUR EVENT AND EVEN HELPING WITH LOGISTICS WHERE REQUIRED. ALSO WINNERS OF A TWIA AWARD FOR BEST WEDDING CATERER - GIVE THEM A CALL, YOU WON'T BE DISAPPOINTED! FABULOUS BIKE FROM POSH PROPS -FEATURED IN THE STYLING OF CAROLINE & ANDREW'S DAY! POSH PROPS IS HOME TO A WONDERFUL COLLECTION OF VINTAGE OBJECTS. FROM CLASSIC BIKES TO THEATRE SEATS AND EVERYTHING IN BETWEEN. WHATS MORE - VIC WHO RUNS THE PLACE IS SO LOVELY AND ACCOMMODATING. WE HAVE ENJOYED WORKING TOGETHER ON MANY WEDDINGS AND STYLING EVENTS AND OUR COLLECTIVE PROPS AND STYLING ALWAYS PRODUCE A MAGICAL END RESULT!